Exactly what I was looking for from a coding bootcamp! Le Wagon... The place to be for a very challenging bootcamp! At Le Wagon, you'll find the open mindset, a warm atmosphere and everything you'll need to feel 100% ready for intensive training. Before Le Wagon, I created my own company and I felt very limited in its evolution because I was lacking the required technical skills. I chose Le Wagon to get these skills as fast as possible so I could build another MVP myself. Being able to understand everything that lays behind a web-app led me to question my project and made a 180° pivot to a much better product. More than a technical program, Le wagon helps you to define the easiest Web Product possible with an optimized user experience. The final projects enabled me to take enough hindsight to truly understand and use everything we had learnt during the first few weeks of the program. It gave me confidence in the fact that I can keep learning to code and be autonomous after the bootcamp. Le Wagon kept its word: today my creativity is not limited any more as I now have the skills to express it. In a nutshell, if you hesitate.. do not, go for it! My previous job in tech recruitment was spent placing developers into jobs, which became rather frustrating because everyday I could see the massive potential in having digital skills. I spent a long time agonising over which coding school to choose when I first decided I was going to move from my previous career to a career in technology, and I am so pleased that I chose Le Wagon. I could never understand how they could consistently get 5 star reviews but I thought I would trust them and go through the process myself. The team at Le Wagon has been so welcoming, supportive and friendly throughout my time there and since. There is a real sense of community with teachers, previous students and the management team going above and beyond to help you out along the way. There was also a great mix of students and we found a good balance between working hard and having fun at the same time. I found that a lot of my classmates had business ideas ready to be made a reality and those like myself who came to learn to code primarily. This was very useful, as there was a lot to learn from people who had much more business experience than me and added a whole new layer to my learning, particularly during the project stage. Overall, it was tough and needed a lot of hard work, but it never felt like too much because of the support and style of Le Wagon. I would recommend it to anyone interested in coding or starting a tech business. In a past life, I was a truck driver, which has nothing to do with code. However, a few months ago, I decided to take the plunge and I joined Le Wagon in Paris (batch #43) last October. Despite my background, the teaching methodology was so effective that I didn't feel overwhelmed by the difficulty of the course. The staff and the atmosphere were great. On top of that, I am amazed by what I got to accomplish at the end of these 9 weeks, whether it was through the AirBnb clone or the final project (www.barde.guitars). Hello, My name is Clemence and I have never been into "long studies". That's why, I naturally turned myself towards bootcamps when I decided to learn how to code. I had been looking through all the different bootcamps for months before I decided to apply to Le Wagon. At first, I hesitated because I thought it was only designed for entrepreneurs which was not really my profile. But quickly I realised that I could apply without having any current entrepreneurial project. After taking the interview, asking questions and having completed the ruby track, I got accepted in the Batch#43 in Paris which took place from October to December 2016. The team I joined was the first girls-only team at Le Wagon. The project we built is called ZA:DL ( http://beta.zadl.fr/ ). ZA:DL is a web-app that helps you organize paid activities with your friends. After Le Wagon, we kept on working on it for 2 weeks as the leader of our team plans on releasing it during Q1 of 2017. There is no denying that the atmosphere at Le Wagon is awesome. The people in my batch were super cool and everybody was getting along well with each other. Teachers, teaching assistants and the staff are all very nice and ready to help when needed. The events organised during the bootcamp were great as well. Despite getting more and more tired throughout the weeks, the talks with entrepreneurs, the Q&A sessions with alumni were very appreciated by the whole group. Although the first few weeks were really hard for me as I had never coded before, the 9 weeks spent at Le Wagon were so great, and went so fast that no one wanted it to end. Le Wagon is the best decision I have ever made! Before joining the bootcamp I had no coding related background whatsoever. I had a Master's of Laws degree and at my latest job I was working as a B2B Account Manager. I decided to take a completely different path and learn how to code! Le Wagon is a 9 week intensive bootcamp and the beginning was tough! However, I worked hard, attended every minute (and more) and with some help from my classmates I stuck it out to the end. The syllabus is really well structured, so that even beginners can comprehend it and learn the foundations of web development. The course has a really practical approach, so in the end we were educated to build fully functional web applications. All the teachers and TAs were amazing and they did their best to make us understand all the theory much better. If someone needed a boost, they would take extra care of them. During the final 2 weeks we were working in teams in order to design, code and ship to production our very own products (www.like-minded.tech). The 9 weeks are intense but I loved every moment of it - the lectures in the morning, the challenging exercises, my different buddy each day, the teachers and the TAs, my teammates, our lovely manager Ed, the masterminds behind Le Wagon, the Friday drinks! At the end of the bootcamp I didn't want to leave! Thanks, Le Wagon! After getting a Law Bachelor and graduating with a MA in Media & Communication, I just couldn't picture myself starting the usual internship process for big companies in old industries. I was also always excited by the fast moving tech industry - but so frustrated to not be able to be a part of it. When I came up with my business idea, it got to the point where all the brainstorming and market research was about to be left hanging if no product was actually being built… After getting a pricing estimation of what it would cost to code my MVP - and knowing that even then I wouldn't be able to fully understand my own product - I decided to invest that money in myself and acquire tech skills. I spent hours comparing the different bootcamps out there and eventually chose Le Wagon because of what I heard from friends in Paris and because they are the only one really focused on building your product.They have proved it with the successful entrepreneurs they have helped so far. The experience at Le Wagon London was truly amazing. The staff (teachers, managers, directors) are as close to the students as it can get and are always available to help you out even after hours. The platform on which we exercise is one of a kind: you start the day with a lecture where the new concepts are taught with the teacher live coding and explaining everything they do; then you spend the day working in pairs or teams and going over the concepts of the day (and more advanced techniques for those who can); and you end the day with another live code where you go over everything once again. It's just crazy the amount of stuff you learn and you surprise yourself keeping the pace with everything and getting better with the days. I made good friends there and met my amazing team with who we are now improving our sports competition generator and manager (OnTop). It is now going so fast and we are already able to test it right after the program. Finally, I really recommend taking this course for any aspiring entrepreneur (regardless of your background), but also for anyone who wants to commit for 9 weeks to a life changing experience that will open you more doors that you could dream of. But it doesn't end here because you're part of Le Wagon for life. After finishing my business school in France I knew I wanted to work in a startup environment. But I felt like the knowledge I learnt in the past 4 years was very theoretical and strongly lacked the technical skills to actually bring something to the table in a company other than just an extra pair of hands to help out. Having done an internship in a digital startup during my studies I had seen what developers could do and "coding" kept intriguing me since then. That is why after graduating I decided not to do a masters degree as most of my friends were doing and instead I decided to learn how to code at Le Wagon's bootcamp in London! I was amazed by it's online reputation, specially on the international scene compared to other bootcamps I was looking at. The course was intense, as I expected it to be, but I was amazed by how well the structure of the course was. We would spend all day learning how to code and doing exercises without losing focus. Unlike my university classes, where I often lost focus after 30 minutes of a lecture. The last fews weeks the classroom felt more like a company office as we all worked in teams to build our final projects, this was an incredible experience, we quickly got very passionate and proud of our projects, meaning we'd voluntarily spend late nights trying to make our websites look perfect or adding extra features. Before we knew it we were building fully functional websites in just a couple of days. And that's how, thanks to Le Wagon, in just a few weeks I learned how to code and completely changed my career path and my way of thinking from business to web development with a business perspective. First of all I totally recommend doing Le Wagon bootcamp if you are keen on entering the programming world. Before doing Le Wagon last winter here in Brazil I was kind of worried about my future and having a hard time finding a good job. I have studied and worked with oceanography here and before the bootcamp I was disappointed with the lack of opportunities in my field, I spent more than a year looking for a job and nothing came up. Work with programming was something that I always thought about, but the initial learning curve was very discouraging. So coding bootcamps were already in my mind to break through this curve. Then I heard that a really good bootcamp was landing here in Brazil, so I thought it was my chance of changing. I ended up being the first student to enroll in the first brazilian batch. And let me tell you it’s been an amazing experience, I have met really good people and looking back I still cannot believe how much me and all my colleagues could learn in only 9 weeks. This is the most interesting point where Le Wagon stand out, it's a very well structured and crafted program. And it explains how they manage to have anyone learn so much so fast. Their philosophy is learning by doing, and that's also another diferenciating fact about them. You really get your hands dirty and « squeeze » your brain. The last 2 weeks are devoted to a project which teaches you how to work in team and release a functional project in only ten days. Some of my teammates are still working on the project that is turning into a startup called numooh. Check it out! So, in my opinion, if you seriously want to dive into this world with a solid understanding of what’s going on. You should consider Le Wagon. Before joining Le Wagon I was student in Amsterdam. At the time there was no Le Wagon in Amsterdam so I decided to go for London as it's a real tech hub. When I signed up, my thought process was that I'd learn to code for fun and go back to Amsterdam to do my Bachelors. But I was very wrong. Le Wagon London has changed me forever. I really did not see myself wanting to continue my career as a developer but the skills you leave with give you such freedom with your life. The teacher's enthusiasm is infectious. The program made me realise in the first week that I had made one of the most meaningful decisions of my life. I am now confident that I have full control of my future, and it's an empowering feeling. I feel confident in an interview situation and look forward to the future. Now I will have life long access to Le Wagon's platform, the ever growing alumni community and will have the support forever. After working 10 years at Apple in various roles from finance, operations and sales I realised how little I knew about the tech side of the business and decided to take on the challenge of learning how to code. Following discussions with friends and reviews online I joined the first batch of Le wagon in London (batch#36) this summer. I'm still amazed by the amount of information that we managed to cover in only 9 weeks, these were probably the fastest 9 weeks of my life !! I went from not knowing what css was to being able to code an MVP in 2 weeks. In my view it's important to join and be part of a community rather than any course, as this will give you access to an amazing amount of content and great people, during and after your course and this is exactly what the wagon is, a great community. It took me two years to pluck up the courage to quit my job to do a coding course. I was working for a design agency in London and although I knew early on that building websites was what I wanted to do – forfeiting a steady income to learn how to do it was a hard decision. As I became increasingly frustrated with outsourcing our designs to freelance coders (where the brief was rarely met and almost always past the deadline), I decided to take the plunge. I put a lot of time into researching, speaking with and visiting the various universities and coding bootcamps and Le Wagon came out top. One of Le Wagon's most appealing aspects was the perfect balance of lectures, self-learning and pair-programming. Some courses rely heavily on lectures (where I would have most definitely lost concentration) and others solely on pair-programming and self-learning (where I would have fallen behind). An hour and a half's lecture each morning gave us a proper introduction to the topic of the day and a good understanding to be able to tackle the pair-programming that followed ('buddying’ up with a classmate and working through problems together). At the end of each day ‘live code’ either consolidated what was learnt that day, revisited areas students had difficulty with or introduced a new topic ready for the next day. This structure was brilliant as it not only taught us to work as a team with a new person each day, the lectures either side kept concentration levels high and, as a result, in two months of 9am-7pm there wasn’t a single moment in which I wanted to leave early or take some time out. Le Wagon appealed to each student's reasons for being on the course – whether you enrolled to learn to build websites in general (like me), or to develop and build one particular idea, or of course to learn to code in preparation for working in the newest tech start-up / taking over the coding world. We were taught in such a way that each of us could work to our strengths and with the incredible daily support from tutors and assistants, and indeed fellow classmates, I don't think anyone ever felt like they were drowning. I knew I was never going to be the best in the class at the ‘back-end’ side of things, essential as they are, but I knew if I could understand how it all worked together that my ‘front-end’ design skills would prevail. Since finishing in September, I have been freelancing building websites for businesses – everyone I meet seems to want a website or knows someone who does. Working for myself has been a life-long dream and after only two projects I paid for the course that got me here. The daunting prospect of going it alone has been made infinitely easier by Le Wagon’s amazingly tight community and incredible resource of lectures, guidelines and live-recordings from the course, which I will have access to for as long as I am coding. Having run my own company in Switzerland for the last 8 years I wanted to join Le Wagon London to expand my digital entrepreneurial skills. My business, Label Bleu, distributes fresh food produce direct to our customers in Switzerland. We currently employ our own dev team (regiomag.net), which programs our backend in Ruby, and I really wanted to learn more so I can communicate clearly with them and ultimately grow Label Bleu digitally. London is a hotspot for tech and Le Wagon's office is located right in the heart of it, surrounded by awesome startups. The whole course is very intense. We are absorbing new information everyday. By the end you cannot imagine that in only 9 weeks you're able to build your own products from scratch. In the last two weeks, my team and I built an extension to Label Bleu. A platform to harness our huge community and engage them socially through sharing their own recipes and photos. We will soon be launching this part of the business. I absolutely loved my time at Le Wagon and have since developed new skills to help grow my business. I am coding everyday and am able now to code for my comapny. It was a life changing experience and amazing to present at Google Campus on Demo Day. I will have access to the platform for ever and be part of Le Wagon's family. Thank you to the whole LeWagon team, the quality is excellent and I have no regret. My idea to join a Coding Bootcamp goes back way before I heard about Le Wagon. My first contact with Le Wagon was in an TechCrunch article and what really impressed me the most was the synergy between 'coding' and 'entrepreneurship’. With a background in finance, I felt learning to code would be valuable and also help me get involved in the startup scene. The decision to dive into a bootcamp is not an easy one -the value is huge, but the investment money/time is also considerable. After a few days at Le Wagon batch #28 in Lisbon I realized my investment was a smart one. I really felt the time and money put into the program was being invested back on me from everyone involved. Two months have passed since I finished my bootcamp and I am already working as a software developer in one of the most promising economic data platforms on the web. I found out that the most valuable thing I took from Le Wagon, is not the specific skills I learned there, but the understanding that if i put 120% of myself into something in 9 weeks the amount of knowledge one can gain is incredible. Seriously, if you are in doubt, just do it. Why did I choose Le Wagon coding bootcamp in Copenhagen? I’m a classically trained “corporate ninja” within the disciplines of business administration and marketing. Since the world is becoming more and more digital I wanted to add digital skills to my tool belt. More specifically I wanted to learn how a digital product is developed from scratch and how the development process is organized. I researched options for coding schools that would offer short-term coding courses but they were based abroad and I was looking for a “local” solution. When I found out that Le Wagon was opening here in Copenhagen Denmark I knew I had to join. Hence I enrolled in the 9-week bootcamp in summer of 2016. I did a lot of research on Le Wagon prior to joining it. What really sets Le Wagon apart from the rest is the entrepreneurial focus: you get the chance to develop your own product and think like an entrepreneur. This was a perfect match with my business background, since it was building on top of my existing knowledge base as well as expanding into unknown territories (well, hello coding!). Having a full stack curricullum that takes back-end as well as front-end into account was exactly the combination I was looking for with my zero skills in coding. Furthermore my research also showed that Le Wagon was highly recommended and scored very well on ratings. That’s why I chose it. I was part of the very first Copenhagen batch of Le Wagon. One word that sums of the whole 9 week experience: excellent! The teaching was great since we had people who were professional developers and knew exactly what they were talking about. The teachers were highly competent and professional. Not only were we presented to new knowledge every day, we learnt how to apply it to exercises that were really challenging - but strengthened our understanding of the concepts. Every day you built up your skills brick by brick. The first 6 weeks really gave you the necessary skill set and was the best prep for the last stretch of the bootcamp: two major projects in the remaining 3 weeks. We created our own Airbnb clone ( platform was similar) while the second was our own app idea. Being able to go from having absolutely no coding skills to create sites that actually look like something worthwhile is quite cool. You literally see how much you progress every week and that just motivates you keep on learning and coding. You learn a lot in 9 weeks. The amount of knowledge you get in these 9 weeks is massive. But you also learn to apply the knowledge in an actual, practical sense. You start viewing and evaluating digital solutions that you see everywhere. Copenhagen. It’s a beautiful city that’s really open and young. Give it a try. You will love the biking and social life of the city. Start of your coding journey. You really get a solid foundation to learn even more after the bootcamp is done. You understand how a digital product is developed. Although the projects of the bootcamp are of miniature-scale the core methods of structuring the development processes are the same in the real world. Reshape your career. Having the digital understanding as above mentioned makes you even more interesting for a future employer. I can vouch for this because it led to my new job within IT project management. The social aspect. You have a lot fun while your brain is frying because of all the new concepts it’s trying to absorp. You learn a lot in 9 weeks. At times you would lose track of which concepts you covered in the previous week because there is a lot to cover. I recommend that by end of each day you reflect on the key concepts you learnt. Not for the faint-hearted. Learning how to code is challenging. At times you will feel frustrated because you just aren’t getting it. It’s important that you come with an open mind and accept that sometimes it takes a bit more time for you to learn it. But eventually you will. I've been interested in computers and technology since I was young, but I never had the push or guidance to actually start coding. I played around with some less technical stuff and loved it, but decided to study clinical social work. A move abroad to Denmark made it hard to continue in my previous line of work, so I thought it was the perfect time to dive head first into coding. It just so happened that the first batch of Le Wagon Copenhagen was a few months away, so I committed. Le Wagon Copenhagen was on of the best experiences of my life. I quickly realized that there so many factors that can affect an experience as intense as this. The fact that you are spending so many hours a day with the same people, curriculum, and teachers learning something that feels unfamiliar and abstract is demanding. Le Wagon is great because it meets all of these challenges. The curriculum is great, the teaching informative, and most importantly, the environment is positive and supportive. At Le Wagon, you learn so much in 9 weeks. While Le Wagon does have a strong focus on teaching the skills for entrepreneurs to pursue their business ideas (you even pitch app ideas, vote on them, and then build them), there is a lot of flexibility in what you can focus your time and energy on. For example, you can really dig into more advanced concepts like sorting algorithms and metaprogramming, but if that sound boring, you can spend time on many other things like UX, design, or wireframing. This course really is for everyone. Whether you've never done coding, you want to build your own app, or you've tried to learn to code and feel stuck, Le Wagon will help you with whatever tech direction you want to go. Also, Le Wagon has done a tremendous job of creating a consistent level of rigor and quality in all of its cities, and Copenhagen is no exception. Before Le Wagon, I was a student at the University of Warwick studying History. I enjoyed my degree, but wanted to learn a new skill which had practical applications in the workplace. Around the same time, my friend and I had an idea for a car-sharing application targeted towards university students. Our aim was to link drivers and passengers via a two-sided marketplace. We quickly realised that, in order to build our application, we would have to outsource the coding or learn ourselves. 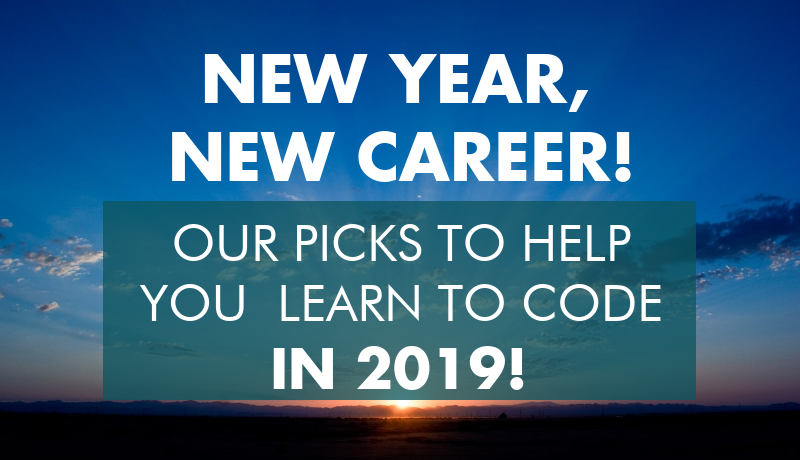 We decided the better long-term decision, in addition to the obvious personal development benefits meant we needed to learn how to code ourselves. A quick google search and telegraph article of the top-ten coding schools in London later, I had applied to Le Wagon. The course, and particularly the teachers, were incredible. The intensive program means that you gain immediate and meaningful knowledge, whilst the teachers are more than willing to dedicate their time to help you learn more. Even though my short-term aspiration is join the British Army in January, I felt that Le Wagon was an opportunity I could not miss. Le Wagon has convinced me to take a development job, after the Army. The aspect of coding I like the most is how logical the process is. Whilst it can be incredibly frustrating when a bug refuses to disappear, you can be certain that if you follow the error message and apply logical reasoning, the issue will emerge. I also discovered how great Le Wagon community is, which is another reason to join this great bootcamp. The post course community is close family constantly helping and sharing info. Le Wagon is a life experience. Hi! My name is Manou, I've finished La Wagon fullstack challenge one month ago. If you're wondering, this formation is more than just a formation, it's a life experience. I've been a Motion Designer for 3 years and I felt like I was bored. I was in a need to learn something new. I was in a need to start something new. I took my chance and following advices from former students I know, I applied. This is one of the best move I could have make. I enjoyed 9 weeks of pure radness. I learn how to learn. Even better, I learn how to like learning. I wish my high school teachers would have done the same. In the same time, when you're at Le Wagon you're like part of a very cosmopolitan family which will do whatever it takes to make you reach your full potential. As I said previously, Le Wagon is a life experience. I've joined as a front-end developer a 30 members dev team in a French startup which just raised 8M€. I'm now surrounding by crazy vibes and amazing people who know how to dream on. I can say I'm happy coding every day among them. I still can't believe I achieve this in only 9 weeks. Cherry on top, I can go back to Le Wagon whenever I have a bit of spare time and can still enjoy the atmosphere of this incredible place where people believed in me. After 9 weeks of intensive Coding at LeWagon Lisbon where HTML, CSS, Ruby, Rails, Postgres SQL and JS ruled our days and nights, it is time to reflect on these hours of concentration, days of smiles, and million of seconds of pure pleasure. After a very traditional early career start in finance in Geneva, Switzerland, I had been attracted to the world of Fintech for a while. In the past year, I have been working on new web trends with the wild ambition of leading my current company, a Fintech dating back to 2000s, towards new more modern, 3.0 solutions :) After weeks and months exploring the tech world and its opportunities, my frustration became too big. I told myself how can you be truly effective in Fintech without knowing how to code? It would be a bit like learning how to ski with a sledge. It won’t slide for long. I did some research, and came across Le Wagon. After reading some reviews and working through Codecademy, my tickets were booked for Lisbon. To be very honest, the first month was really difficult, very challenging. Yet after that, everything started to fall into place. You begin to understand the pieces of this huge puzzle. I cannot tell you the pleasure of seeing your code running for the first time!!! Why Lisbon? Simple - the surf and its booming Fintech environment. Le Wagon changed a lot my future professional dreams. Before Le Wagon I was trying to learn programming on my own. For me, code is one of the few things that gives that amazing ability to create whatever you want - you just need a computer and an internet connection to start. With that said, it’s not an easy task, it takes resilience and a lot of patience. I have an engineering background and I can tell you that I learned so much. The teaching method is really well structured. You walk away with a very robust set of skills that you know how to improve upon after the bootcamp, and that’s really what you hope for in a two month course like this. The teachers are experts are extremely competent and know the material from front to back. And after staying with the same people everyday for 2 months it’s impossible to not make very good friends that as an upside share the same passion as you. Our final project was an online payment solution for freelancers. It basically secured a clients payment and released it when the job was done. It was unthinkable for me before Le Wagon that you could build an MVP from scratch, like that, in just two weeks. Since the bootcamp, I have stayed in touch with the majority of my classmates and ended up joining another project with 5 other alumni from my batch. This time it’s a combination of web development and energy production. We are being accelerated by the major energy company in Portugal (EDP). It is amazing what you can do with people that share your passion and have the same interests. For me, Le Wagon turned out to be the best investment. After just a few months out, it already created many opportunities. I highly recommend it. of this environment. After one year I had studied the upper layer, I had a strong feeling that something was missing. Indeed, in order to fully understand this environment, I needed to study the technical layer. Therefore, as usual, I naively began on my own by consulting articles to solve the mystery of startup’s products! I decided to browse resumes of emblematic characters of the Tech industry. I came to the conclusion that a significant portion of them have in their backgrounds technical skills. Since I have a curious mind and I am always eager to learn, I enrolled during my summer vacation @LeWagon Coding Bootcamp. I graduated from Le Wagon one month ago, and it was the best jump forward I have ever done, certainly the most valuable decision for a business student who is passionate about Tech. My expectations were high concerning the Full stack Program. With very ambitious goals when it came to my skills before Le Wagon, and I have not been disappointed even more. 'Le Wagon full stack program for entrepreneurs’ is a 9 intensive weeks program. The goal is to build an MVP during the last two weeks. But if you expect knowledge and techniques to be brought to you on a silver plate like the way thing are taught at school, you are delusional; coding is about learning how to learn. Le Wagon’s team do it with faultless functioning. They designed a program in a way to make learning more attractive and straightforward, both within their platform and the day to day courses. The range of resources and tools built in-house fit our needs and are always up to date. The hard skills you learn are relevant and straightforward. You learn the core concepts of the web development with an approach that tends to reach an operational autonomy. You will be able to deal with API, frameworks, database, collaboration tool like Github and many other. The learning speed is high and the time flies out when you are in front of your computer 10 hours per day, it can be disconcerting at first. For my part it was, but you become right away addict. The funny thing is that the staff can be disconcerting too regarding their full beliefs and trust in the program. Their faith in your success comes from the program itself. I was skeptical, but it is only at the end of your 9 weeks that you can realize that they were right. First of all, I think that one of the main strengths of Le Wagon is stakeholders who gravitate around them and their network in the Parisian startup ecosystem. Most of the people I met share a positive mindset, a sharing spirit with a contagious motivation. The mix of ages, backgrounds, and meetups allow a real exchange between people. As a young man, I learned every day from the sharing spirit of my buddies, teachers and persons who are in the co-working space. The apprenticeship is not limited to learning technical skills with best practices because learning how to code is about developing your developer mindset. It is through this mindset that you reach a real operational autonomy. An important part of the pedagogy is learning how to search for the correct info, methods, techniques, services. This is a key to understand better coding culture and be able to make progress. Now when an idea comes through my mind or when I scroll the web, I immediately try to think in terms of components and technical issues, which makes me more pertinent and pragmatic. I discover a product driven way of thinking and tackling web products. Although Le Wagon paves me the way for further areas of work, all the information you learn during the Bootcamp can be reviewed, improved. For that reason, the master word is practice. So actually I try to improve what I have learned on a freelance project. Once again when you are stuck, you can count on Le Wagon community. The community is very active, alumnus, teachers constantly pull together to deal with code issues or to share quality information and resources. When I read the Slack of the community, I always feel the urge to go broad and develop my skills; there is a spreading emulation. In a word Le Wagon afford me an overall framework regarding web products analysis and workflow. My lack of tech skills is not a barrier anymore; it became a strength. I know that there is now a before and an after Bootcamp, nothing will ever be the same again. I was Marketing Manager in a tech startup during 4 years. Every day, I was working with developers but I could not understand what they were really doing. This was frustrating… But unfortunately I had no time to learn to code. It turns out that I quit my job in Paris to move to HK. This was the perfect time to attend Le Wagon! This experience gave me plenty of energy. It was stimulating. Really. You meet new passionate and creative people. It changes from your high-school friends you see every week :wink: Le Wagon widens your scope, give you desire to undertake great projects. For me, it was the perfect "break" between 2 jobs. Today, I have much more confidence when applying for tech companies. I can now get Product Manager position, which was really hard without any tech background. I strongly recommend Le Wagon, whether you want to find a dev position or aspiring to a new job in the tech industry. I finished Le Wagon's 9-week intensive program in Paris in September 2016. My background had literally nothing to do with coding -- I studied Music and Psychology at university, and went to on to get a TEFL certificate and teach English as a Second Language. After 3-4 years of teaching, I knew I wanted a change of pace, but wasn't sure exactly what that might be. I wasn't prepared to go back to university for a 2-year Masters degree in Psychology or anything else; I had enjoyed the flexibility I got from teaching English and didn't want to give that up. My husband was/is a passionate developer who works at home, so I decided to see what programming was all about. I spent the better part of a year trying to teach myself to code with some great online resources, and really enjoyed it. Although I learned a lot, working full-time and a lack of structure/progression to my studies prevented me from making the progress I was hoping to see. That's when I decided to give up my job and enroll in a full-time programming bootcamp. I had heard great things and read great reviews online about Le Wagon before attending, and I wasn't disappointed with my experience. Le Wagon creates an amazing atmosphere from Day 1. You really feel like you've become part of a special community of people - people who are fun, smart, driven, and creative. Many people who attend Le Wagon are hopeful start-up CEOs (and some already successful! ), who want to understand code just enough to get an idea off the ground and someday manage a development team; my goal was more straightforward. I just wanted to learn how to code and become a developer myself. The curriculum at Le Wagon is really first class. They have found a way to teach you all of the important practical skills you'll need to make a web application, while cutting out unnecessary/theoretical computer science concepts. The idea is to get you up to speed and capable of creating an MVP version of an application and/or an employable junior Ruby developer as quickly as possible. And they certainly succeed in doing that. The teachers at Le Wagon are extremely knowledgeable, passionate, and approachable. Although it is an intense program, it is very manageable with the support of both the teachers and the teacher assistants. The structure of each day also makes it manageable: morning lecture -- pair programming (with a classmate and the support of teachers and TAs) -- lunch break -- more pair programming -- 'live code' (where the class comes together again to work through some challenges together). The days are long (9am - 7pm) but really fly by! Another huge bonus is the online access to courses and exercises. Although in theory you don't need to spend any time outside of class doing homework or preparing for the next day, if you ever feel like you need some extra practice, all of the lectures (video recordings from previous groups) and exercises are available through the online platform. I found it particularly helpful to watch the video lecture the night before so that the material wasn't 100% new the next morning. Some of the concepts took a while to understand, so experiencing the lecture twice was so helpful. All in all, I consider Le Wagon a very polished bootcamp. They've had quite a number of 'batches' (as they call them), and the program is refined after each group. The people running the program are warm, friendly, professional individuals, who will help you to achieve your goal, whatever it may be. I highly recommend this program to anyone thinking about doing a bootcamp. I was very happy with my experience at Le Wagon! My name is Oscar and I finished Le Wagon a few weeks ago in Paris. It was a true life changer. Just to give you a bit of background, I worked 4 years in the oil & gas exploration industry, as a strategy consultant. Basically, I was advising CEOs on their exploration strategy. I decided to quit my job and start my own company, a web application to help influencers monetize their communities. After a few weeks in the process, I found out that knowledge in web development would be essential in the success of my company. Friends and relatives told me about Le Wagon and I decided to apply. I wanted to be able to code beta versions or MVPs, work efficiently with developers and understand the full landscape of web development. Le Wagon gave me all those abilities in 9 weeks. The program is quite intense and you learn fast. After a few weeks, you start to understand the big picture as well as being able to code a web app using Ruby on Rails. The last weeks of the program are super efficient as you are working in teams to ship out a high quality project! I am now working on the beta version of my website (check it out on www.aulo.io) and launching the business very soon! I gained critical knowledge thanks to Le Wagon and I am now fully prepared to launch my web application business! Le Wagon Paris, amazing bootcamp! Why I joined Le Wagon? 3 years ago I discovered the startup world. Since then, I have worked in the 3D printing industry in Cambodia, I have organized two startup contests, and I have been absorbed by the startup universe. But I didn’t feel I would be able to set up my own startup. Something was missing. I had a lot of ideas, but I had trouble knowing if they were technically feasible, finding a developer to work with. In fact I always had a good reason not to launch one. One day, a friend of mine talked about Le Wagon, a bootcamp for entrepreneurs to become a smart coder. It sounded great. After that, for sure I would be able to turn ideas into business. So I decided to take the best decision of my life. So I joined Le Wagon Paris this summer for a 9-week intensive coding bootcamp. It was cool, very cool. Every day in a very nice atmosphere you learn something new, you discover new people and you become better. The best is that after only 3 weeks you are able to create concrete things like a race game or a static website. It is really intensive so you need to be in tip top shape and focus on your 9 weeks but this is worth it. Teachers are amazing, lessons and exercises are amazing, people who are programming around you are amazing. To be honest I won’t be able to criticize someting at Le Wagon. Now what? The best is after! Since the end of the bootcamp, I code everyday. It's like a drug, I can’t stop myself. I have started learning how to create android app, google extension, and launched a startup with 3 others Le Wagon bootcampers. My roomate becomes crazy because I am always coding. I have the feeling that now everything is possible. Any idea could be a startup, a concrete project. My dream is to take a gap year to travel all around the world. Now this is possible, I can do that and make money by coding, I am free. Imagine, you can work from the beach in Brazil, Thailand or Australia, not so bad, right? I ended my review here, because it’s time to code! I was part of the first Le Wagon London cohort, batch #36 summer 2016. I don't have a computer science degree or computer background. I don't have any formal tech training. I have worked as a freelance graphic designer and run my own business for many years, learning to build websites by working my way through various online courses. So I could handle html, css and a little php. Learning online was ok, it helped me discover my inner geek, which now unleashed, has me addicted to coding. But, and this is a big BUT, these courses always left me feeling frustrated. When you work alone you can be left with 101 questions in your head, "Am I doing this right? ", "Is there a better way to write this code? ", and 3 days of hair pulling staring at the dreaded white screen of death trying to troubleshoot the missing ';' in your code. Yet there is no-one to ask. Then I had an idea for an app, and together with my two co-founders, we knew we had to find something more. We'd researched the idea, we'd tested the market and we knew we had something, but feedback from potential investors was that they wanted to see a technical lead on the founding team. I was asked why wasn't I that person if I could build a website? I should be building the app. Fair point. So I started looking to see how I could step up to that challenge and hit our next milestone of building an mvp in-house. Online learning alone wouldn't cut it. When I came across Le Wagon, it was a no brainer. I went to a couple of meetup groups first to see how they work and it was impressive. The genuine passion and enthusiasm the teaching staff have for coding and programming is infectious. I signed up for the 9 weeks and it was without doubt the best decision to push our bootstrapped startup forward. In fact it's like adding rocket fuel to your idea. I won't say it's easy. At the beginning the challenges are tough. It's called a bootcamp for a reason. But as a class you grow. With guidance and mentorship from the teaching staff you help each other, you learn from each other. Being part of such a widely diverse group of international students of all age ranges, cultures and working backgrounds was really inspiring. Standing up on stage to demo our newly built mvp is the best buzz. To be able to achieve that in just 9 weeks is a credit the high calibre of the teaching staff. So what have I come away with? I now feel confident to discuss the continuing development of our mvp with other developers and I can work in a team. I have access to a huge bank of video lectures I can refer back to. Gone are the days of scratching my head in silence, I know have a community I can ask for help. In fact, I have some fellow alumni from the batch working with me on our project after the course. When we are ready to hire, Le Wagon will be my first stop. And I can now put 'Technical Lead' with pride on my team slide. I will continue to work on the mvp in-house to take us to public launch, become investment ready and prepare for our first technical hire. The mvp was presented at a trade show just two weeks after demo day and already has traction. I was also invited to speak on Sky News to share my positive experience of breaking into the London Tech scene as a woman. Best of all, just one month later, we are finalists in the Appsters Award for 2016 in two categories. That, is the true power of Le Wagon.